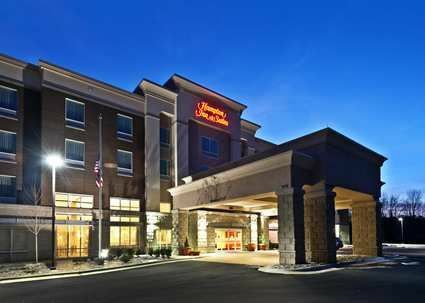 Hampton Inn & Suites offers easy access to major universities and exciting sporting and cultural opportunities. Stay active during your stay with an energizing workout in the fitness center or outdoor pool. Stay connected with work in the business center and make use of a variety of business-friendly amenities. Host your next meeting or social gathering for up to 40 guests in the versatile meeting room. Relax on a clean and fresh Hampton bed® and take advantage of high-speed internet access and premium TV channels. Choose a stylish suite featuring a microwave, mini-refrigerator and wet bar. Start the day with Hampton's free hot breakfast before heading off to explore the sights of Holly Springs.